Thanks, all, for dealing with my hiatus! In the past few weeks, I have finished my internship at Backpacker Magazine, moved back to Missoula, attended a wedding in Point Roberts, Washington and returned to school as an editor for the paper (Montana Kaimin) and a tablet producer for the magazine (Montana Journalism Review). 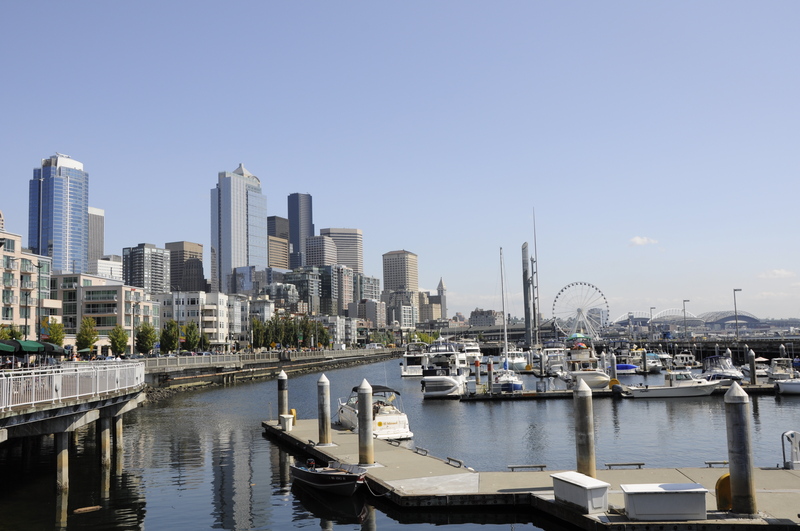 Seattle from the docks – we stopped here on the way to the wedding! Tomorrow, I head down to New Orleans for the Society of Environmental Journalist’s conference as a mentor fellow. I will blog throughout the week! After that, I head to Calgary, Alberta for a poster presentation at the Under Western Skies conference. Please follow along during this crazy semester! Did I mention that this is my last semester of classes? And my last year of grad school?? Hope you’re holding on – the ride is going to be wild! I hope you enjoy everything I write this coming semester – and thanks for reading.